Our bespoke balloon wall decoration adds a unique touch to any room. 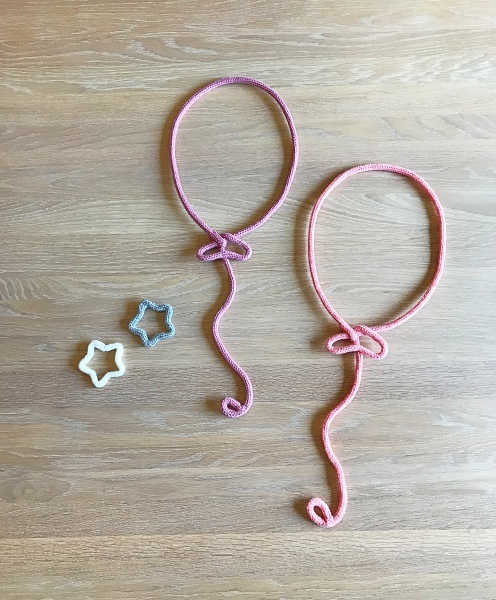 Each knitted balloon is handmade and carefully designed and created to your colour choice. 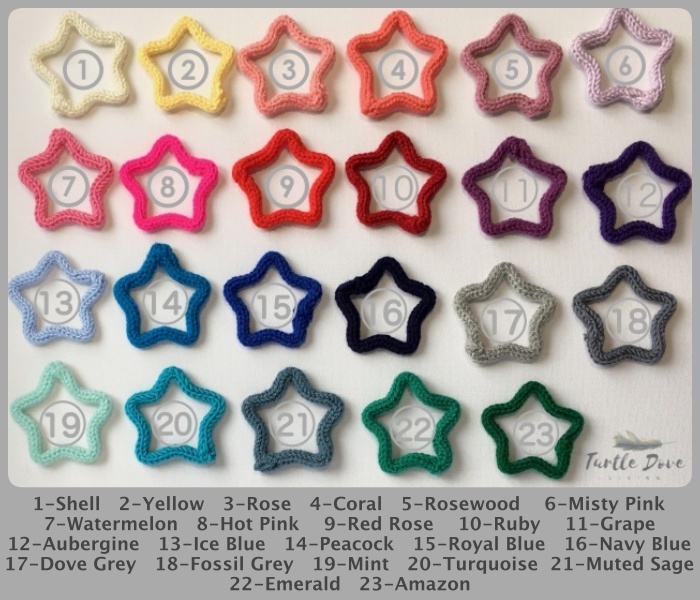 Choose from a choice of 23 carefully sourced colours that will compliment any colour scheme. Also make ideal gifts for new mums, christening or birthday gifts. PLEASE NOTE-As these are personalised and made to order we are afraid that we cannot accept returns so please ensure that you are completely happy with your colour choice. Measurements – Approx 20cm wide & Maximum 50cm high. We advise that children are not left to play with our knitted decorations as they contain wire and are very delicate.